This is a book signing event and a wristband is required for access to the signing. Wristbands will be provided at the cash register at the time of purchase. According to the Barnes & Noble website no personalization or memorabilia will be allowed. Fans wishing to have an outside item autographed may want to bring one but should be prepared for only the book to be signed. 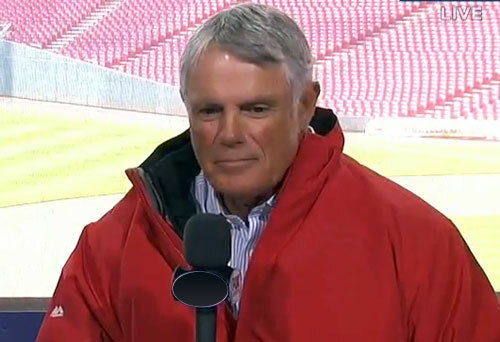 Lou Piniella is a former MLB left fielder and manager who played for the Baltimore Orioles in 1964, the Cleveland Indians in 1968, the Kansas City Royals from 1969–1973 and the New York Yankees from 1974–1984. After his playing career Piniella was a manager for the New York Yankees from 1986–1987 and 1988, the Cincinnati Reds from 1990–1992, the Seattle Mariners from 1993–2002, the Tampa Bay Devil Rays from 2003–2005 and the Chicago Cubs from 2007–2010. Piniella is a three-time World Series champion for 1977, 1978 and 1990 plus he is a 1972 All-Star as well as a three-time Manager of the Year for 1995, 2001 and 2008. Piniella was inducted into the Seattle Mariners Hall of Fame in 2014. Sports Speakers 360 is a booking agent for pro athletes. If you would like to book Lou Piniella for a speaking engagement, appearance or endorsement, contact a Lou Piniella booking agent for fees at 1.855.303.5450.